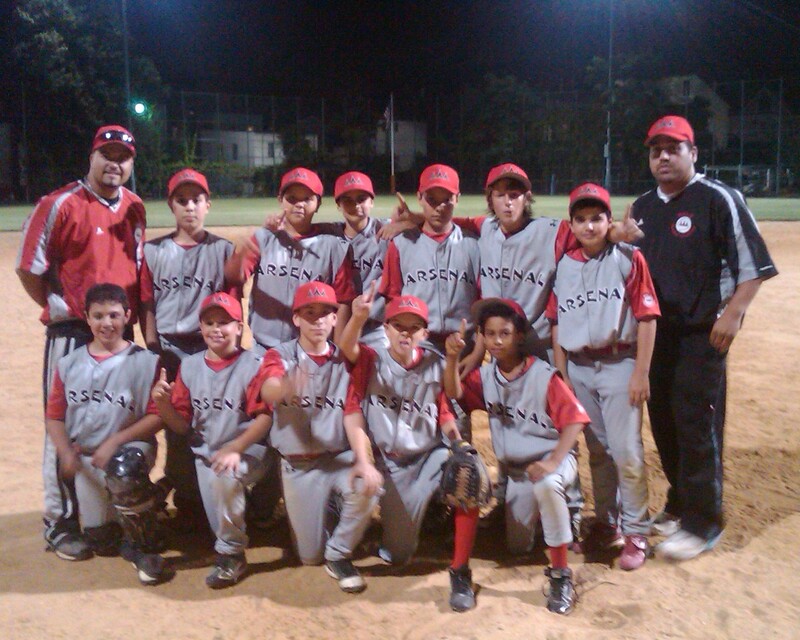 Arsenal Baseball: Congratulations2011 Spring Arsenal! Congratulations to our 2011 Spring Arsenal for winning the 2011 12U 50/70 D1 Championship. After a very promising 6-3 season, the team continued to play excellent as a team in the playoffs. In the first round, Arsenal played to a solid 13-2 win over the Clifton Cavalry. In the semi-finals, Arsenal avenged their earlier doubleheader loss to the NJ Prospects with a 3-0 pitcher's duel victory. Triple A broke through on some defensive miscues and a perfectly executed suicide squeeze. Arsenal reached their Eastern Championship goal with a huge upset over the undefeated Rockland Cobras 6-4. Arsenal led most of the way, but gave up the lead late after some timely Cobra hitting. But just like this team has always done, they never gave up and battled to score 3 runs in the final inning to secure the victory. As East champs, the team earned the right to play the also undefeated West Champion, Select. Select proved to be a very formidable opponent, especially at their home field over 1 1/2 hrs away. Fortunately, Arsenal jumped to a 3-0 lead once again and was able to use some stellar defense to hold on for the victory. The win gave Arsenal the overall 12U 50/70 D1 Championship; its 2nd championship in 3 years!!! After a long year of off-season workouts, Spring Training trips and numerous tough practices at ungodly hours, all the hard work paid off. The importance of the bond of a "TEAM" cannot be questioned and it showed once again in 2011. Once again...CONGRATULATIONS to all the team members. The entire staff would like to thank all the players, parents and fans who supported us throughout the year and made this season possible. We look forward to our continued progress and success in 2011 and beyond.